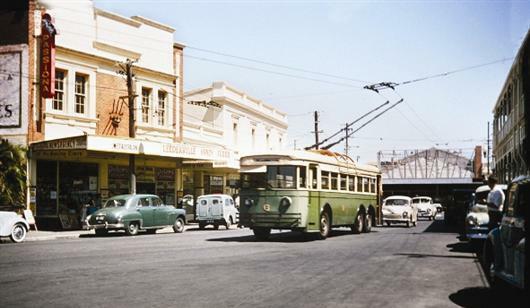 For all you history buffs who yearn to be transported to yesteryear, come in and explore our community’s rich past at the Local History Centre within the Vincent Library. You can also look up your family’s ancestry and research the history of your house, right back to past owners. Dedicated to preserving, documenting and celebrating the history of the suburbs and characters of Vincent, the Centre is a treasure trove filled with nostalgic finds. You’re sure to be thrilled by this fascinating collection of photos that can be browsed by topic, decade, suburb or keyword – why not search your address? We need your help to keep the history of Vincent alive and running by sharing you stories. By donating photos, yearbooks, programmes, diaries, letters or memorabilia, you can help to shape Vincent’s diverse past and share the history love with your fellow Vincent residents. We depend on contributions from residents, businesses, groups and organisations and any donation such as newsletters, records, scrapbooks etc. is greatly appreciated. Of course, we don’t expect you to part with any items, but we’d be happy to copy them and return your originals.